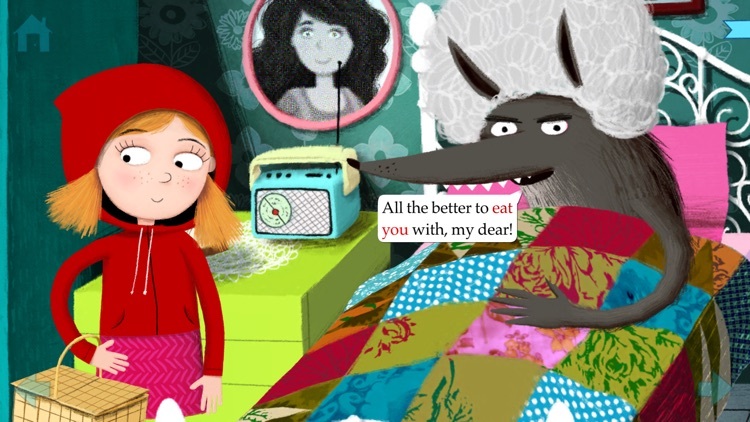 Welcome to Little Red Riding Hood - What's YOUR version of the story? 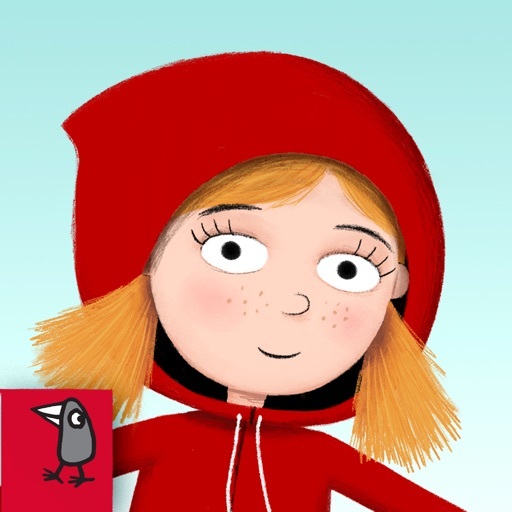 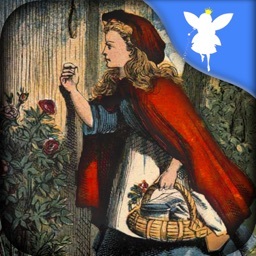 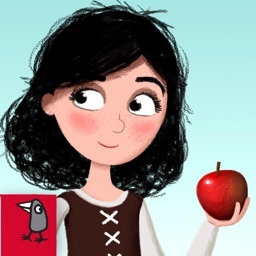 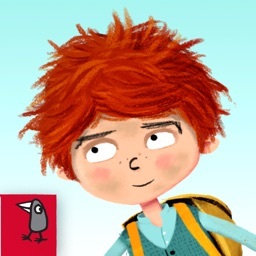 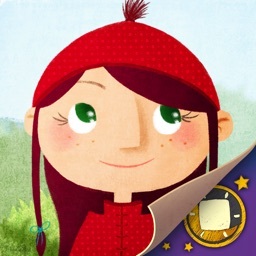 Our Little Red Riding Hood app is a completely new take on the classic fairytale: for the first time ever, users can create their own story by choosing from multiple paths along the way, resulting in a new, fully-animated adventure with different endings every time. 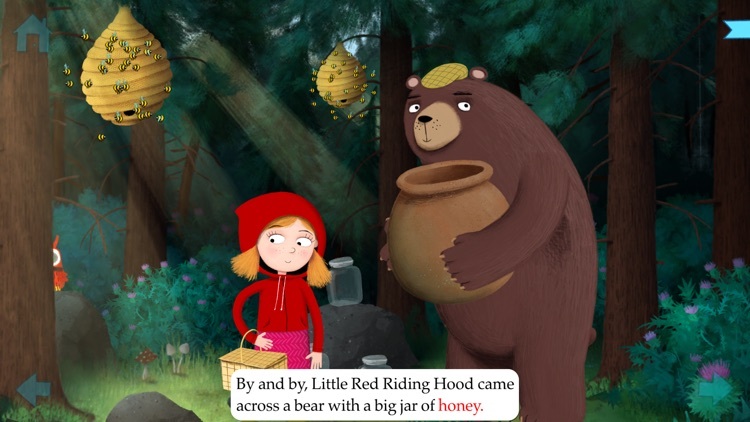 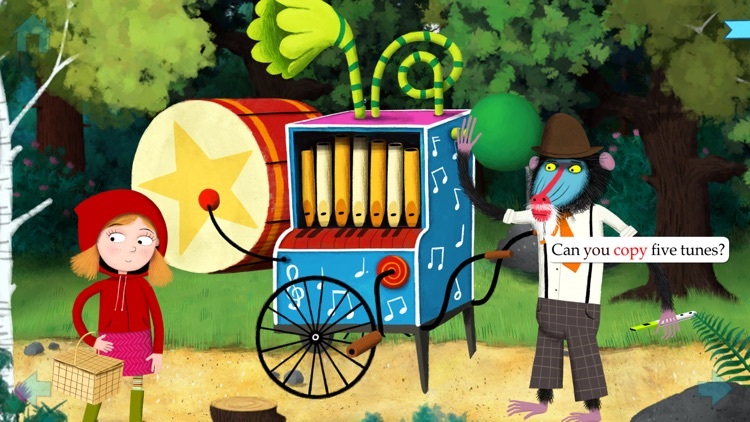 Built with an innovative, user-generated narrative structure that immerses a child in the story, Little Red Riding Hood re-invents interactive storytelling. 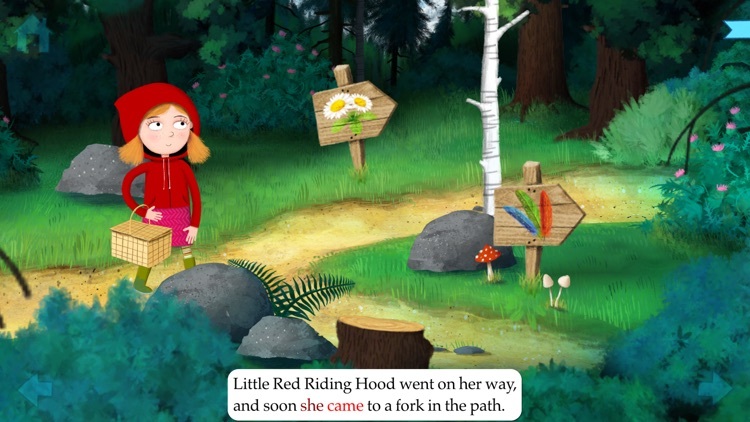 Readers play games to help Little Red Riding Hood collect three different objects in the course of her journey through the woods, choosing what items to gather at forks in the path. 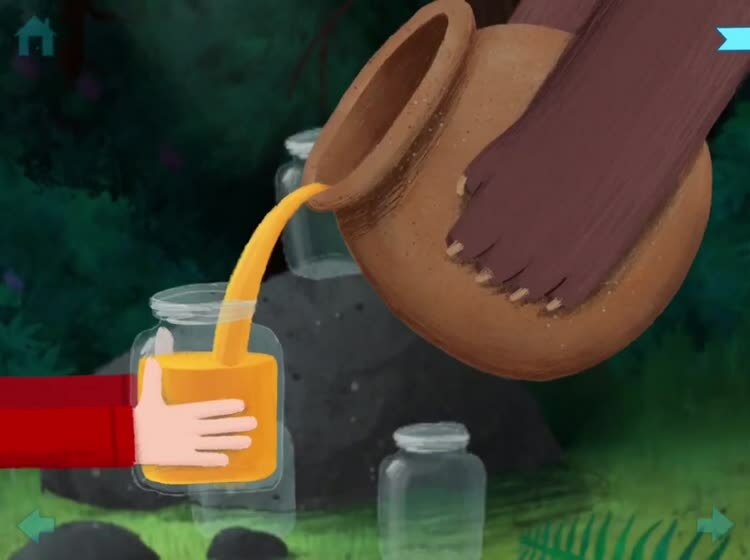 These objects determine how Little Red Riding Hood defeats the Big Bad Wolf and saves Grandma. 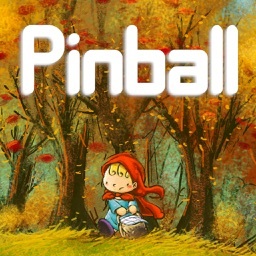 Optimized for Retina Display and the iPhone 5. 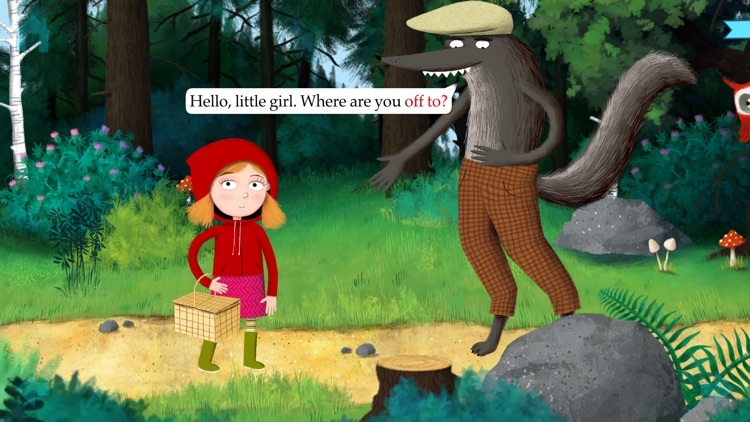 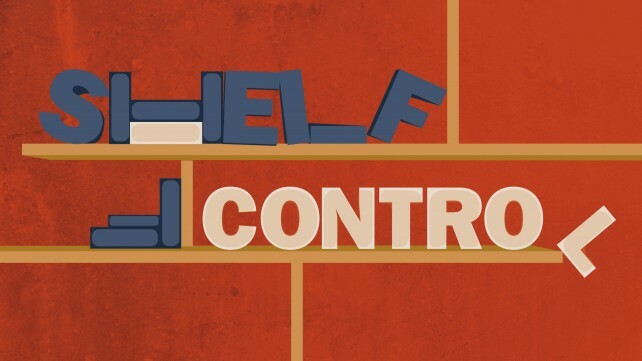 What's your version of "Little Red Riding Hood"?